Welcome to Asylum Interactive Ltd.
Asylum Interactive is a full service multimedia design consultancy. We began our careers in graphic design but, in 1995, decided to specialise in multimedia and design for the Internet. 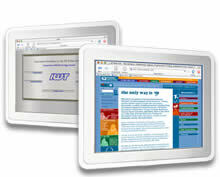  We plan, design and host web sites, on-line shops and sophisticated database driven applications.  We plan, script, shoot and edit video for training or promotion projects. Although we are as excited by good design and use of communications technology as anyone else, the Asylum philosophy is that what matters is what works. The best-looking web site in the world is still a failure if it doesn't generate traffic and sales. Business web site hosting - especially ecommerce development and ecommerce web hosting - are highly specialised services. Standard ISP packages are unlikely to provide you with optimal commercial performance. Asylum provide competitively priced, high performance, solutions from small business web hosting through to busy on-line shops taking 3 million-plus hits. CD-ROM presentation design and DVD authoring are powerful tools for producing high impact communication for sales development, training and other business purposes. Computer graphics - 3D models - can be especially effective in the 'show and sell' of technical products and processes. At its simplest, your interactive media production can be a multimedia corporate brochure CD ROM. Kiosk and interface design, however, can give much wider application to your new media production.